Once the style staple of Bird watchers and island dwellers the faithful fleece is having something of a revival and we have stocked our shelves with some of the cosiest styles around for Autumn Winter ‘18. With some bold colourways and flashes of camouflage details all of our favourite brands have come through with premium fleecy wardrobe upgrades.Perfect for seeing you through the colder months in style the fleece selections below can be worn as a mid-layer on the coldest days of the year or can become lightweight outerwear choices as the Spring weather begins to creep in. In celebration of this years fleece revival we have picked out five of our favourites which are now available Online and In-Store at Xile. 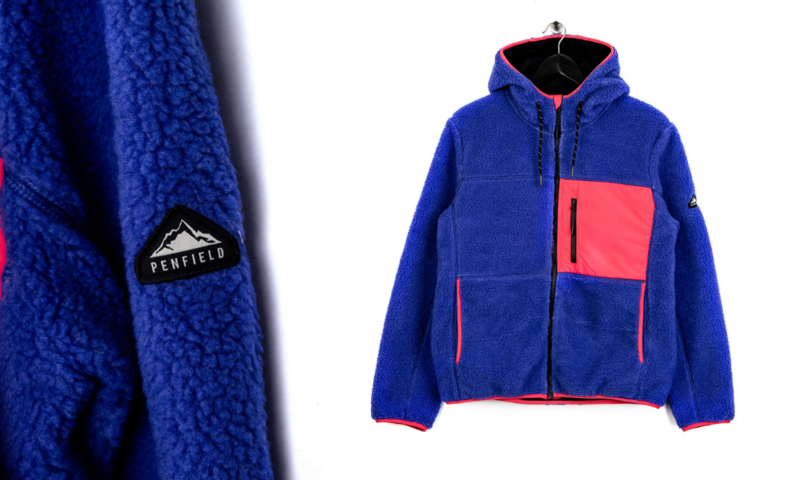 One of the boldest fleece selections this season is the Penfield Atkins which has been released in this fresh blue colourway with a contrast pink nylon panel to the chest. Constructed from a warm polyester fleece the style features a drawstring adjustable hood alongside a full zip closure and two zip close hand pockets. The zip close chest pockets will keep all your prize possessions safe and the look is completed with Penfield branding to the sleeve for a signature finish. Barbours new label, the Beacon brand, aims to take signature Barbour styles and provide them with a contemporary upgrade while maintaining their focus on quality and durability. The Egremont fleece is one of the best value offerings this season and is the perfect mid layer for the colder months of the year. Available in two colourways the lightweight fleece is constructed from 100% polyester with contrast trim running down the full zip closure and around the elasticated cuffs. With two zip close hand pockets the style is completed with a contrast nylon chest pocket featuring the brand new Barbour Beacon branding. Ark Air are back in Xile and have introduced a brand new style as part of their latest collection. The Borg Mammoth jacket is a stunning white fleece with a ½ length zip closure and zip opening to the side seam to keep cool when the warm weather returns to our shores. 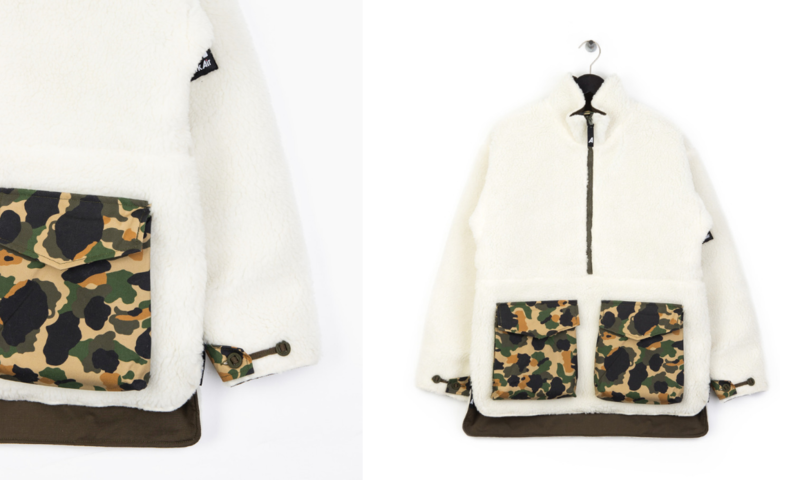 Oversized camouflage pockets to the stomach and camouflage adjustable cuff detailing. With Ark Air branding to the sleeve this is a must have addition to your cold weather wardrobe. 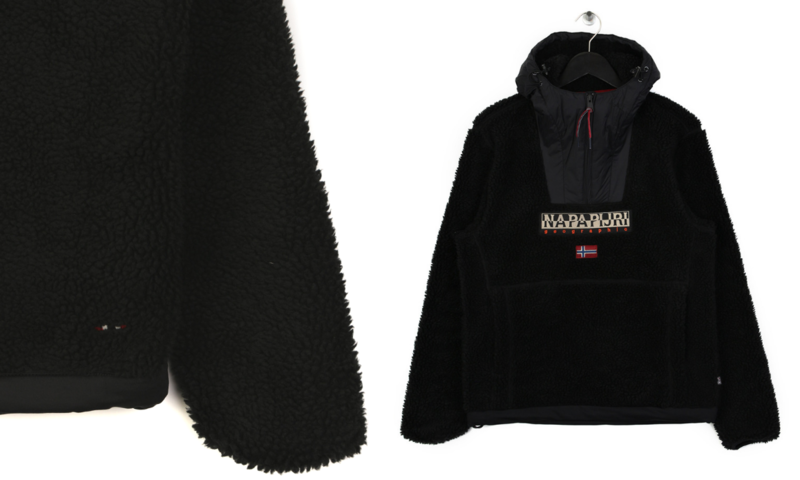 Known for being experts in element beating outerwear Napapijri have thrown their own fleecy creation into the Autumn Winter arena. The Teide pullover is modelled on one of Napapijri’s most iconic jacket silhouettes, the Skidoo. Created using the brands signature curly fleece the Teide is presented in a night black colourway with a contrast nylon panel to the ¼ zip closure and the toggle adjustable hood. With welt hand pockets and Napapijri branding to the chest this fleecy number will keep you protected from the cold in style. 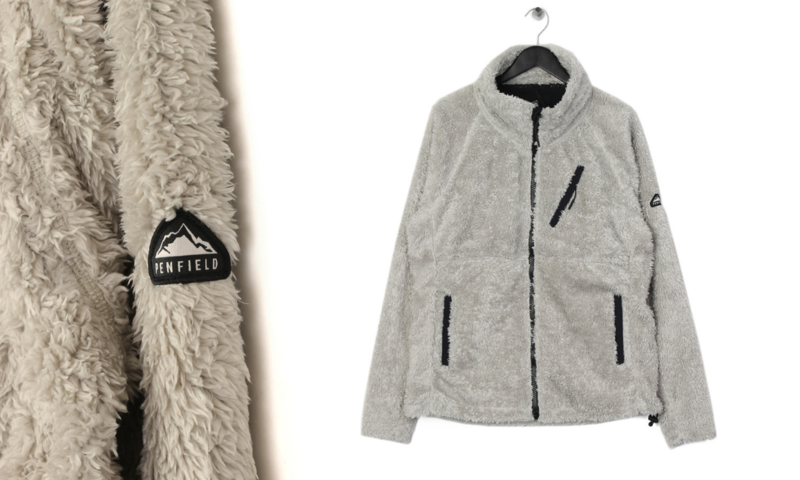 Another curly fleece creation from Penfield has made our top five list and the Breakheart fleece couldn’t be missed. In a bold silver colourway this funnel necked creation is constructed with an extra warm hi-loft fleece and toggle adjustable hem. Contrast black zip detailing gives the look a bold contrast and the angled chest pocket will keep your prized possessions secure. 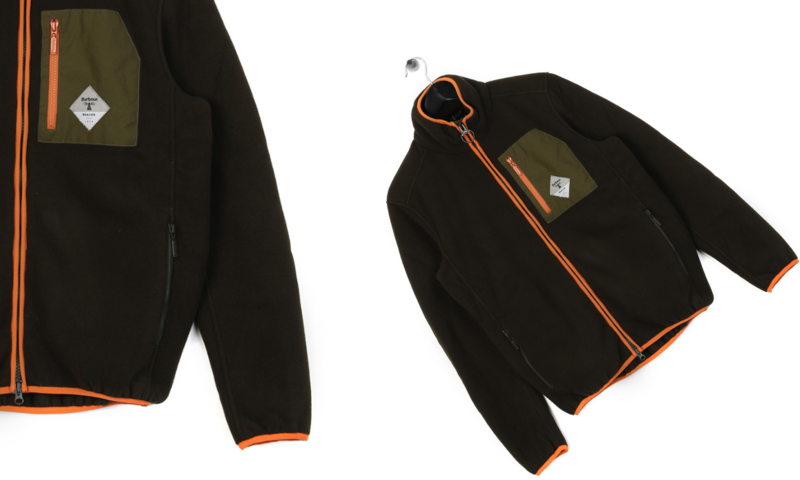 Also available in a black colourway the Breakheart is completed with Penfield branding to the sleeve. You can shop all the latest Fleeces and Jackets Online and In-store at Xile with Free UK Next Working Day Delivery on orders over £75. If you are making your first full price order enter code WELCOME10 at checkout to save 10%. Make sure to follow us on social to keep updated with all the newest releases and announcements from Xile.